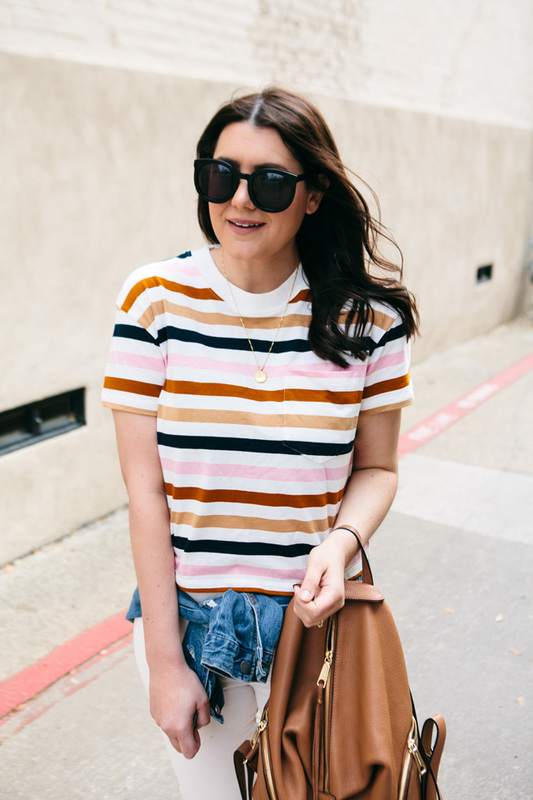 Every once in a while a striped tee comes along and you just know it’s going to be a favorite. In fact, I wore this on my IG stories last week and I had about 10 messages saying that they too had and/or were wearing this same tee! So all that to say, it’s a good time to get a good tee. 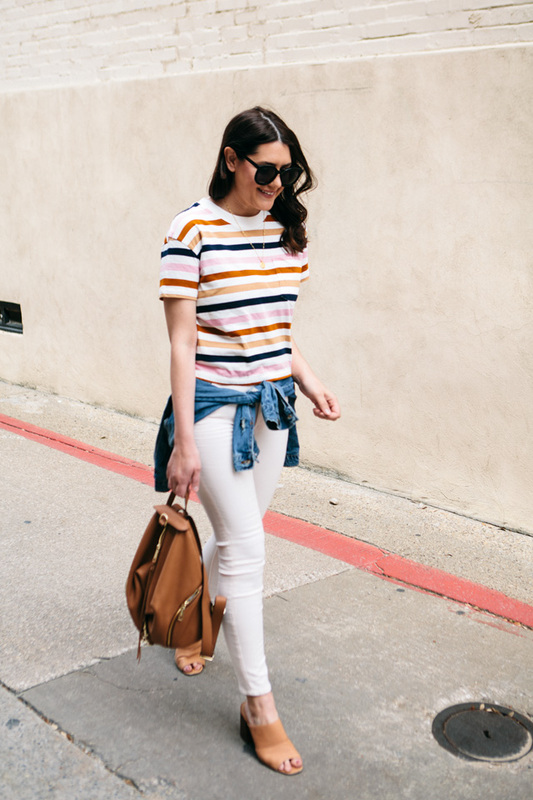 Because this tee goes with everything right now from light pink jeans (raises hand) or white denim to darker denim to denim shorts this summer. The list could go on and on. Do you guys have a really great denim jacket in your closet? If not, let me humbly suggest that you should get one and soon! Spring is my favorite time for a denim jacket and not just because my arms get cold all the time, but because it’s such a nice third piece to add interest to your outfit. Do you know about the Third Piece Rule? 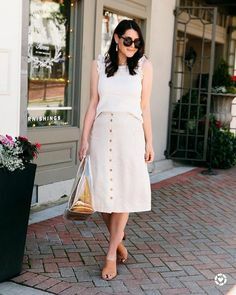 The idea is that to complete an outfit you need that third piece to really add interest. This outfit would have looked darling without my jacket tied around my waist, but adding this element really makes it pop, don’t you think? As you very well know, I don’t always subscribe to the arms-in-the sleeve-only rule with jackets or blazers, therefore I like to wear my jacket a few different ways: over the shoulders, around my waist or of course, the classic traditional way. Truly a denim jacket can make an outfit pop! I’ve found a few different options below for all budgets! 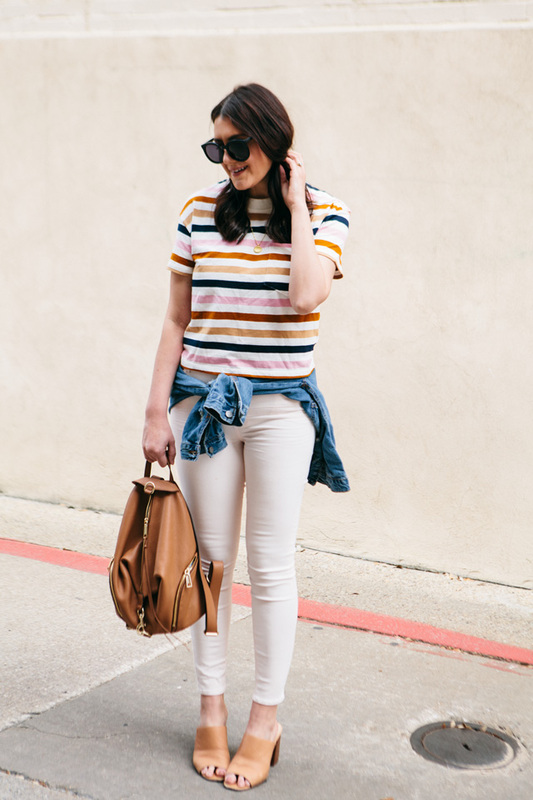 I have given these light pink jeans a run for their money, no?? I didn’t know I needed a pair of pink jeans in my life but I’m so glad I do. 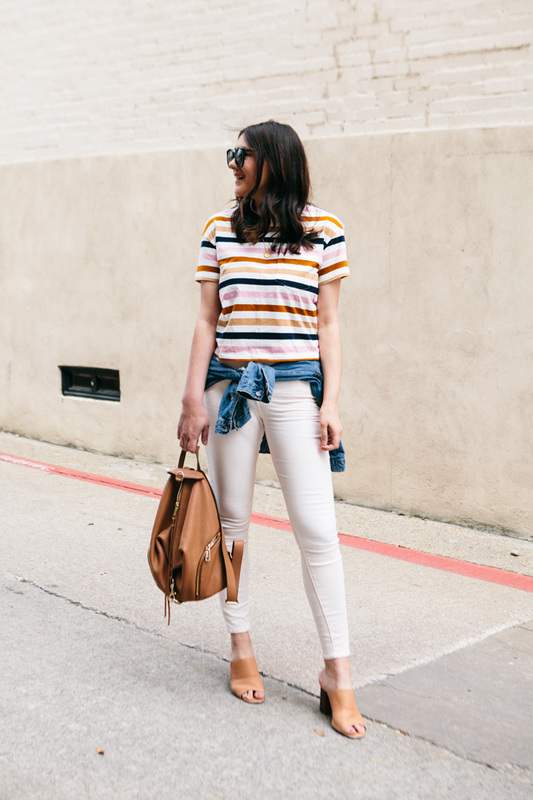 You can find the jeans here! I am in the medium of the top. It is a little bit cropped but I would stay true to size (I have a long torso.) I am in the 29 of the jeans, true to size. 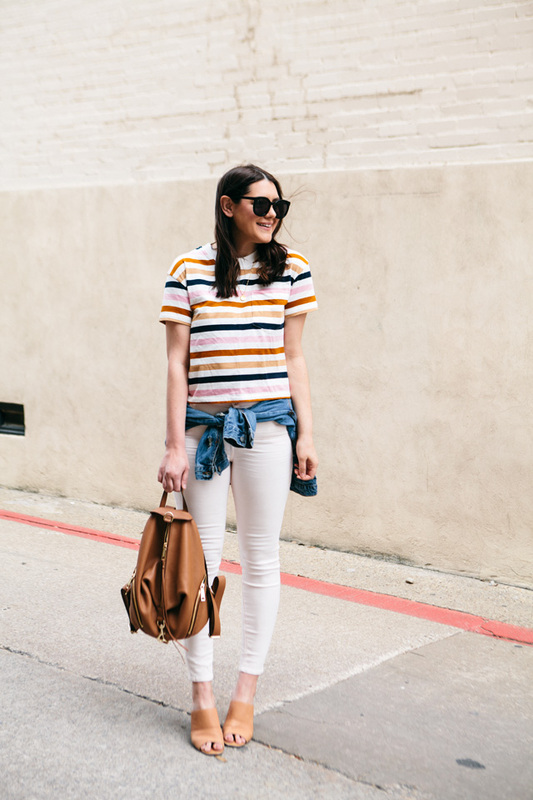 I love that striped tee! It has a good mixture of neutral and feminine colors!